Bob Mizon has a proven track record in helping inform and influence government policy on artificial light at night in the UK. He has been Coordinator of the UK Commission for Dark Skies nearly since its inception in the 1980’s and, in this capacity, has worked with both government and industry to attempt to forge closer working ties. Bob was awarded the “Member of the Order of the British Empire,” awarded on the Queen’s birthday in 2010. Bob was the recipient of IDA’s prestigious Galileo Award in 2006. 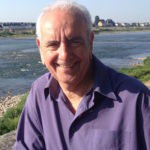 Bob has also written a number of books on artificial light at night, including Light Pollution: Responses and Remedies, and Finding a Million-Star Hotel: An Astro-Tourist’s Guide to Dark Sky Places. Bob has never wavered in his efforts to reduce light pollution. He is an inspiration and example to us all. Rod has been extremely active and successful in reducing light pollution in Canada. His light pollution abatement policies of “Light Efficient Community” (LEC) have been adopted in his hometown, neighboring communities and county governments, and are now being considered at the provincial level of Alberta. As a young amateur astronomer, Rod became acutely aware of the disappearance of the night sky in 1964, which inspired his work to educate others about light pollution and to mobilize them into action. One of his earliest achievements was to revise Edmonton’s lighting policies, laying the groundwork for a new lighting ordinance and, subsequently, the LEC. Rod remains active and continues his work to reduce light pollution by engaging and mentoring others, sharing his experience and educational resources, and consulting with policy makers to restore the night sky in Canada. Chris is a postdoctoral fellow at the German Research Centre for Geosciences (GFZ) in Potsdam, where he studies the ecological impact of artificial light at night. Chris received his PhD in Experimental Particle Physics in 2006 from the University of Pennsylvania, during which he performed research at the Sudbury Neutrino Observatory in Ontario, Canada. He came to the field of light pollution research after relocating to Germany in 2008. His work at GFZ attempts to measure the skyglow produced by cities and how it is changing over time. Chris has advanced the use of citizen-science methods to engage the public, such as developing the Loss of the Night phone app and organizing “flashmob” measurement events, and is often a voice in the media of Europe and beyond touting the value natural darkness. 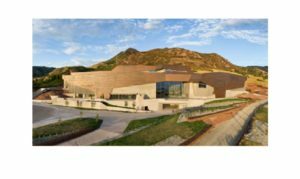 The Rio Tinto Center, home of the Natural History Museum of Utah, is layered into the foothills of the famed Wasatch Mountains overlooking Salt Lake City and the Great Salt Lake. According to Museum Executive Director, Sarah George, the museum was designed to be an extension of the natural environment whose “architecture, site, and exhibitions were integrated and conceived as one, and always envisioned it as the trailhead to the state of Utah.” The Museum’s exterior lighting consists almost entirely of fully shielded shoebox fixtures in the parking lot, louvered path bollards and fully shielded lights by the loading dock. There is no landscape up-lighting. The building appears as nothing more than additional contours of the mountain at night. A telescope program is offered every Wednesday night and, despite the brightness blight in the city below, the dark-sky lighting of the Rio Tinto Center allows excellent stargazing. 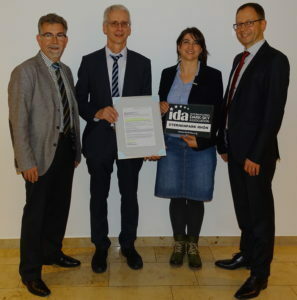 Matthias Hahner, Managing Director of Osthessen-Netz, has been awarded the 2016 Lighting Design Award for installation of a sustainable and dark-sky friendly lighting on the Wasserkuppe in the IDA Dark Sky Reserve, Rhön, Germany. Mathias coordinated efforts between the UNESCO Biosphere Reserve, the Police Department, Road Authority and dark sky experts and lead efforts to use lighting only where absolutely necessary, use only full cut-off luminaires, install smart control technology which allows light to respond to environmental input and use only as much light as necessary, and use the lowest acceptable lighting levels, which are below IDA’s Dark Sky Reserve lighting criteria. The project has reduced energy consumption by 90 percent and has served as a showcase to the media and municipal decision makers, and has motivated some of Germany’s largest lighting companies to build and offer luminaires with amber colored LED. 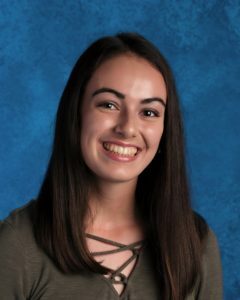 We proudly honor Lora Callahan, a high school student from Lynchburg, VA and a very picture of hope for the future. As a veteran Girl Scout, Lora teamed up with the James River State Park volunteer coordinator to pursue an IDA Dark Sky Park certification in October 2015 and has since volunteered more than 100 hours toward the effort. Lora enlisted her friends to hand-build and install 35 wooden shields for the exterior lights in the Park’s cabin area, she conducted light sky readings and compiled and submitted the readings to IDA, she assisted in a lighting inventory of the entire park and its facilities, changed bulbs to lower intensities, installed and set timers, replaced some fixtures with FSA approved designs, and disconnected unnecessary lights including antiquated ‘dusk to dawn’ post lights within view of the riverside campground. In June 2016, Lora spent a weekend assisting with dark sky-focused interpretive programs and she continues to keep up with outreach to surrounding communities and regional astronomy clubs to build support and attract more partners for ongoing program development. Lora’s efforts have brought valuable public attention to the cause of night sky conservation and responsible lighting practices while continuing to elevate dark skies as a priority for the Virginia State Parks. The Starry Chicago team from Amundsen High School are, in the words of those who know them best, “awesome!” Starry Chicago first brought focus to the issue of light pollution by championing light pollution awareness at the Aspen Challenge. They have continued their work by participating in speakerships at the Chicago Astronomical Society, appearing on a local green radio show, participating in the Starlight, Beyond Light Pollution Leadership Training Summit, participated in public outreach of, “Cosmic Convergence” with the Chicago Sinfonietta at Orchestra Hall to communicate their message to the public, giving public comment at the Chicago Infrastructure Trust board meeting, participating in a teen team conservation exhibition hosted by Brookfield Zoo, conducting astronomy outreach sessions using loaner telescopes, creating a video and an online short story-book about light pollution, and so much more. 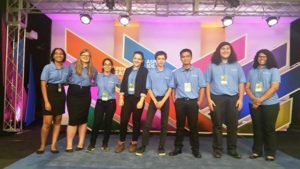 It is impassioned, committed and dedicated students, such as the Starry Chicago team, who truly represent a “bright spot” for tomorrow’s efforts to reduce light pollution. Now in its eighth year, the Acadia Night Sky Festival attracts well over 4,000 local participants and individuals from all over the U.S. The Festival is the pinnacle of the Night Sky Initiative, a partnership of Acadia National Park, Bar Harbor Chamber of Commerce, and the Friends of Acadia (additional partners include the Abbe Museum, Jesup Memorial Library, and the Mount Desert Island High School). It connects astro-tourism efforts, lighting ordinances in the surrounding townships, and lighting retrofit projects. In short, it is the manifestation of a multi-benefit and multi-stakeholder approach to protecting dark skies. 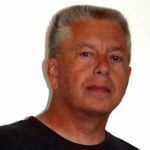 José provided exceptional leadership as “Gerente” (Manager) of the Area Control de Ruidos y Contaminación Lumínica (Noise & Light Pollution section) within the Junta de Calidad Ambiental de Puerto Rico (Board of Environmental Quality, which is the equivalent of a DEP in most U.S. states). Under his leadership, Puerto Rico continues to make great progress in educating its citizenship. Jose serves as a key bridge of communication among the various partners to reduce light pollution on the island. 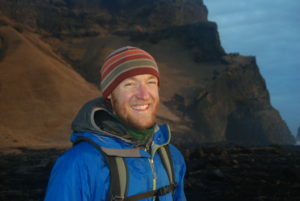 Nate was the first leader of the Colorado Plateau Dark Skies Cooperative. Nothing quite like this organization previously existed, and its structure and activities are nearly all of his devising. Nate provided support for eight International Dark Sky Parks established on the Plateau since 2012, contributed expertise to several area municipalities who enacted or updated their lighting ordinances, and gave countless presentations to local governments, civic organizations, and other groups about the importance and impact of dark skies. Fernando leads the Oficina de la Ley del Cielo (Office of the Law of the Sky), within the Instituto de Astronomía (Astronomy Institute) of the Universidad Nacional Autónoma de México (UNAM). He is also the chapter leader of IDA Mexico. In this capacity, Fernando has been actively educating community leaders and promoting ordinances to protect the night skies in the state of Baja California. Baja California is the first state in Mexico with an environmental state law to protect its night skies, with Ensenada being the first city in that state to put a light pollution ordinance in place. In 2015, thanks to Fernando’s efforts, the ordinance was updated to also specify CCT and LED billboard restrictions, including a 5-year replacement to ensure lights within 100 km of the National Astronomical Observatory (OAN) are less than 3000K. He is also actively working to get San Pedro Mártir National Park designated as the first International Dark Sky Place in Mexico. In addition, Fernando has been helping IDA translate IDA literature into Spanish. Derek is the president of the Central Florida Astronomical Society and leads its Dark Sky Advisory Committee. He is also the Planetarium Manager at the Seminole State College of Florida. Derek is also an amazing night sky photographer. His photo of Dry Tortugas was featured in IDA’s 2016 calendar. He contributed to the establishment of Kissimmee Prairie Preserve State Park as an IDA Dark Sky Park and is currently motivating other places to apply, including Canaveral National Seashore. 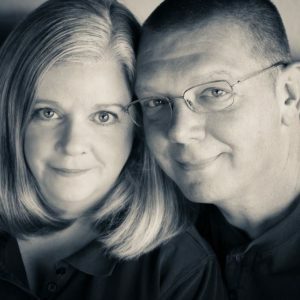 With the worldwide interest in LED conversion, IDA faces the biggest challenge in its history but Gene, Cindy, Jim, Craig and Nicole are on the front lines of outreach, working for responsible LED conversion. For two years, the group has led the effort to persuade the City of Phoenix, Arizona, to avoid adopting high color temperature white LED as the standard for replacement of nearly 100,000 luminaires lighting Phoenix’s streets and parks. They initiated and sustained contacts with city officials up to and including Mayor Greg Stanton and various City Councilors, provided city staff with up-to-date and fact-based arguments against the emission of excessive amounts of blue light, and attended numerous meetings and hearings to advance the agenda of better lighting choices with proper spectrum consideration. As a result, in spring 2016, the City rescinded its initial Request for Proposal specifying a 4000K standard for City-owned lighting and issued a replacement allowing for proposals as low as the IDA Fixture Seal of Approval standard of 3000K. These individuals embody the notion that a small group of dedicated people can engender important changes in support of IDA’s mission. Coyne and Vicki Gibson are employed by The University of Texas, and work at The McDonald Observatory, in Fort Davis, Texas. They were extremely involved in creating the Big Bend Conservation Alliance and were instrumental in the Big Bend Dark Sky Park designation. Luke is a seasonal park ranger with the National Park Service that for several years has enthusiastically led the night sky educational programming at Big Cypress National Preserve and helped prepare a successful application to get Big Cypress designated as an International Dark Sky Park. 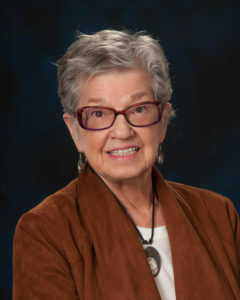 Patricia A. Grauer established the Cosmic Campground International Dark Sky Sanctuary. It was the first in North America and the first IDA designated area on US Forest Service Lands. She has also brought major positive publicity to the International Dark-Sky Association which has resulted in a substantial increase in the awareness of the general public to the value of the natural night sky. Dave is Dean of the Graduate School and Professor of Physics & Astronomy and Stephen is the Director of Capstone Initiatives, Undergraduate Studies, and Associate Professor of City and Metropolitan Planning at the University of Utah. When the IDA Chapter, Ogden Valley Starry Nights reached out to Dave and Stephen in Fall 2015, shortly after the accreditation of North Fork Park as an IDSP, to suggest some kind of academic locus for dark sky studies, they responded with a generosity of time and energy that was extraordinary, especially for an initiative that was outside their University responsibilities and a drain on their already dramatically oversubscribed schedules. Through their efforts, and the connections they have made for the Chapter, the dark sky activity in the State of Utah has grown exponentially. In Manchester, UK, Simon has the earned the reputation for being a fierce critic of bad LED implementations. He is a self-proclaimed “Street Lighting Campaigner” and a frequent commentator in popular LinkedIn groups such as Lighting Talk, LED Lighting Forum and Lighting Professionals (public forums that engage thousands of professionals of various backgrounds with interest in the lighting industry). Simon has a degree in Mechanical Engineering & Energy Studies, as well as Transportation Planning and is truly a courageous advocate who is not shy to take on high-profile entities in the cause of responsible lighting. 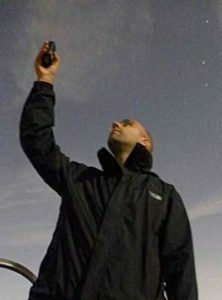 Dan is a ranger for the South Downs National Park in the U.K. and has been instrumental in the promotion and public awareness of dark skies. He worked closely with outreach programs among Astronomy groups, Parish Councils, and County Councils to submit an application to have the South Downs National Park designated as a Dark Sky Reserve. The park was certified as a Dark Sky Reserve in May 2016. 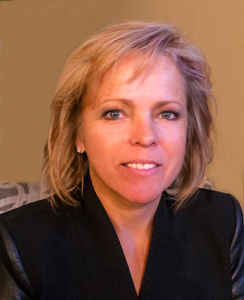 Elizabeth is a professional with 25 years experience in the implementation of programs and activities for environmental education and management programs for the conservation of natural areas. As the Superintendent of Las Cabezas de San Juan Nature Reserve, she was the program coordinator of Puerto Rico’s Shine Naturally: Reduce the Impact of Light Pollution, a scientific and educational campaign that had a state-wide impact. The initial project at Cabezas de San Juan achieved a 50% reduction in lighting around the Cabezas de San Juan reserve and was the start of major changes in the national light pollution policies in Puerto Rico. She is founder and coordinator of the Puerto Rico’s Advisory Committee on Light Pollution. 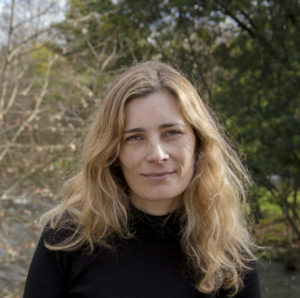 Apolonia Rodriques created the Dark Sky Alqueva Programme in 2008, and since that time has devoted her work to alert the different private and public stakeholders about the negative effects and impacts of light pollution via the creation of an area for stargazing in Alqueva, Portugal. 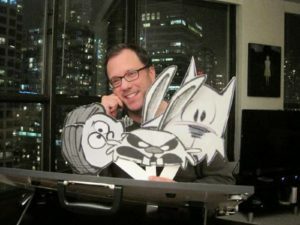 Scott is an enthusiastic space buff and cartoon artist. Through his cartoons, Scott raised the awareness level of light pollution and the New Horizons mission. Scott is also an exceptional speaker and a WGN radio regular guest and sometimes substitute host. STAR Communities is a nonprofit organization that works to evaluate, improve and certify sustainable communities. The STAR Community Rating System was initiated and supported by the ICLEI-Local Governments for Sustainability USA, the U.S. Green Building Council, the National League of Cities and the Center for American Progress. STAR stands for Sustainability Tools for Assessing & Rating Communities. Local leaders use STAR to assess their sustainability, set targets for moving forward, and measure progress along the way. It addresses the needs of U.S. cities, towns and counties seeking a common framework for sustainability. STAR uses a point system based on how well communities meet certain objectives within several goal areas that are comprehensive in nature to account for the various factors that play into the sustainability of a community. Since its inception in 2012, STAR has awarded points to communities that protect their night skies and limit light pollution. It does that via objective BE-1 in the Built Environment (BE) goal area, which provides points for Ambient Noise & Light. This objective aims to minimize and manage ambient noise and light levels to protect public health and integrity of ecological systems. “Dr. 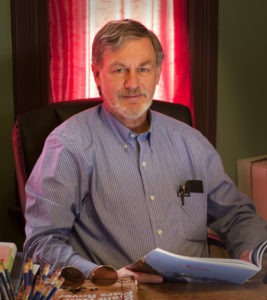 Bob” is the William Herschel Womble Professor of Astronomy at the University of Denver and Director of DU Observatories, including the historic Chamberlin Observatory on the DU campus. He has led the Colorado chapter of IDA since its inception, with participation from the Denver Astronomical Society, Bob has built out the educational program at Chamberlin to deliver messaging about the importance of dark skies and good lighting to attendees at the Denver Astronomical Society’s Public Nights, which often draw hundreds of visitors. Bob’s efforts have helped draw attention to IDA’s core issues along the Front Range region of Colorado and beyond. Mac coordinated with Grand Trunk, a hammock and outdoor gear company, to launch an international 6-week campaign (#HangTheMoon) to promote night sky conservation. The campaign featured Mac’s night sky photography and videos from various parts of Southeastern United States. The campaign also brought in other partners including National Forest Foundation and Outdoor Nation. Mac is an award-winning natural history and conservation photographer whose works are published in National Geographic Traveler, BBC Wildlife, Nature’s Best Magazine, Outdoor Photographer, Audubon Magazine, National Parks Magazine, and more. Founder of IDA’s Lake Worth Chapter, Richard successfully led a group of local citizens to educate and convince the City of Lake Worth’s government officials to retrofit their street lights with 2700K LEDs as part of a city-wide LED retrofit effort. (The contractor originally wanted to install 4000K LED). He also successfully pushed for City officials to seek approval from the Florida Department of Transportation (FDOT) to install 2700K LEDs on FDOT-controlled roadways within the City. Richard and the IDA Chapter he leads continue to advocate for the City to eliminate sources of light glare, trespass and sky glow. Vicki is a leader in dark sky advocacy. 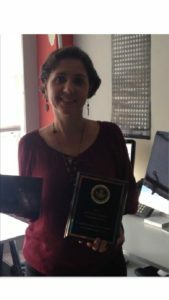 As a community leader, she encouraged policy and Bylaw development in Bon Accord, Canada to be certified as a Dark Sky Community. Vicki continues to guide the Town’s administration to ensure that maintaining Dark Sky Community certification will remain the goal.